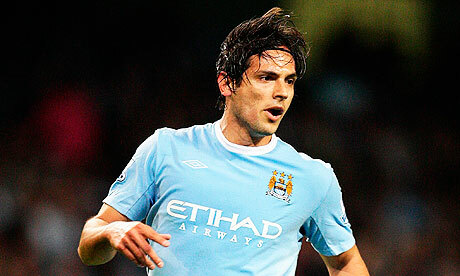 Blackburn Rovers will have Roque Santa Cruz available to face Chelsea in the Premier League tomorrow. The Paraguay striker has rejoined Rovers on loan from Manchester City, who paid £17.5m for him in June 2009, and after completing a medical, he signed in time to be in contention to play at Stamford Bridge. Paul Robinson is fit to return in goal after a calf injury and Steven Nzonzi (hamstring) could be back in contention. Nikola Kalinic is back from suspension while Gaël Givet and Martin Olsson have overcome knocks. Vince Grella, Keith Andrews and Phil Jones remain on the sidelines and Brett Emerton is on duty with Australia. Santa Cruz, 29, jumped at the chance to return to Ewood Park. He told the club's website: "I feel like I am coming home. This has been the easiest decision of my career. I want to get playing and scoring goals again and this is a real chance for me to prove myself after a frustrating period. Everyone knows what Blackburn Rovers means to me."